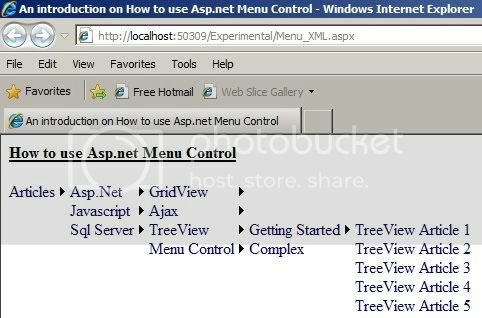 Now developers uses Asp.Net Menu Control as a navigation control. Using this control one can build the navigation system of a website very dynamically. Simply by using this menu control you can create Even complex navigation. It gives us a lot of inbuilt feature like collapse completely or expanded completely. You can also make a navigation down to any level. This Menu Control is very useful when you need to develop dynamic menus. One can also customize the look and feel by defining the properties of the control as well as by CSS. You can bind the menu control with datasources like SiteMapDataSource and XMLDataSource. 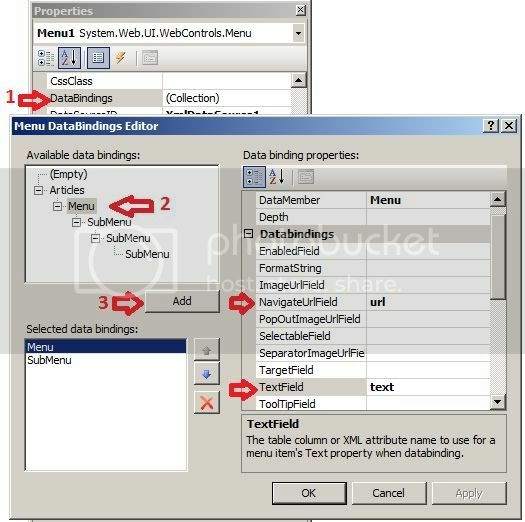 Here in this asp.net C# VB.Net article or tutorial i will explain how to bind menu control with a xml file. 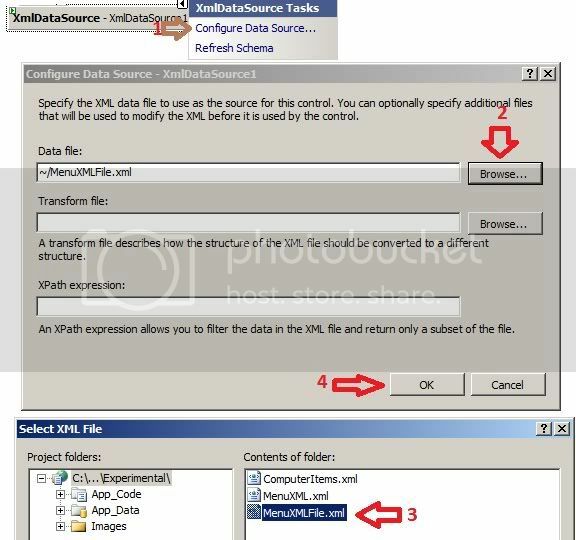 Its a very useful feature specially for complex dynamic links because you can manage a XML file to organize links easily by the help of XMLDataSource. 2. Place a XMLDataSource on to the page from toolbox. 3. From XMLDataSource smart menu click on Configure Datasource. 5. Now add a Menu Control into the page. 6. Right click on menu control & go to the properties. I want to ask, how to set a menu for different users. So if user login as admin, all menu will show up, but if others, only certain menu that show up. You save me some minutes of work today. Thanks for the post. But i noticed that, the whole menu item is not click-able but only the text in the menu item is. Is there a way to make the whole menu item click-able?